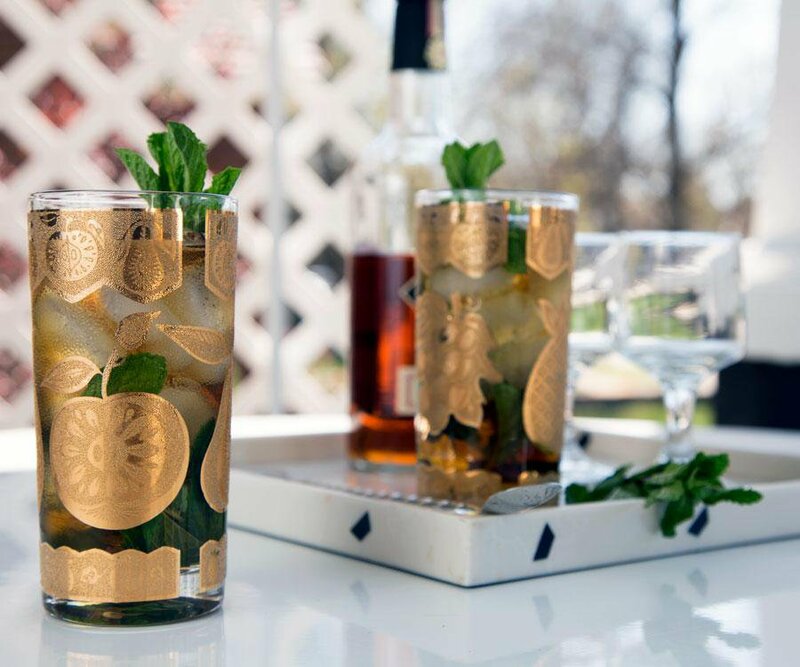 Whether you chug drinks like a thirsty racehorse or sip like a Southern gentleman, the mint julep is the perfect drink to prepare this derby season. This month, tip your hat—your oversized, opulently decorated derby hat—to the official cocktail of the Kentucky Derby, the mint julep. “You can’t have the month of May without having and enjoying a mint julep,” says Meagan Burns, assistant bar manager at Barley, Wheat & Rye Social House. She says the taste of a classic julep conjures the image of a Southern lady wearing a fancy hat, sitting outside on a warm day watching horse races—making it the perfect drink to enjoy when the Kentucky Derby rolls around in May despite being stuck in the Midwest. The mint julep is a simple yet classic cocktail including bourbon, mint, simple syrup and crushed ice—a lot of crushed ice. “In my mind, the perfect mint julep is really just a fancy whiskey snow cone,” Burns says. Keeping that extra-icy structure in mind, Burns likes to pile a glass high with ice, packing it tight to get that perfect rounded top. The official Kentucky Derby mint julep is served in a silver cup. It’s meant to be held from the very bottom so that all that ice frosts the cup. But there’s nothing wrong with showcasing your fresh ingredients in a highball glass, as we did in our photo shoot. “You drink and eat with your eyes first, which is why a julep is so enjoyable and so popular,” Burns says. 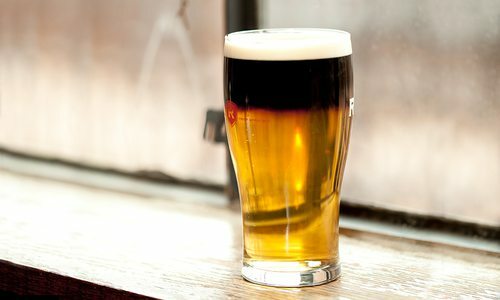 Because the drink is so simple, Burns says it’s crucial to use high-quality ingredients. 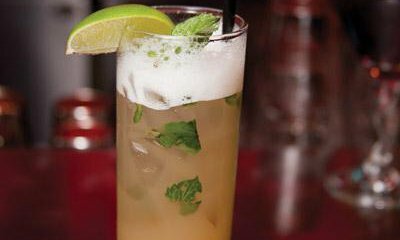 Get fresh mint from the grocery store and use a really good bourbon. 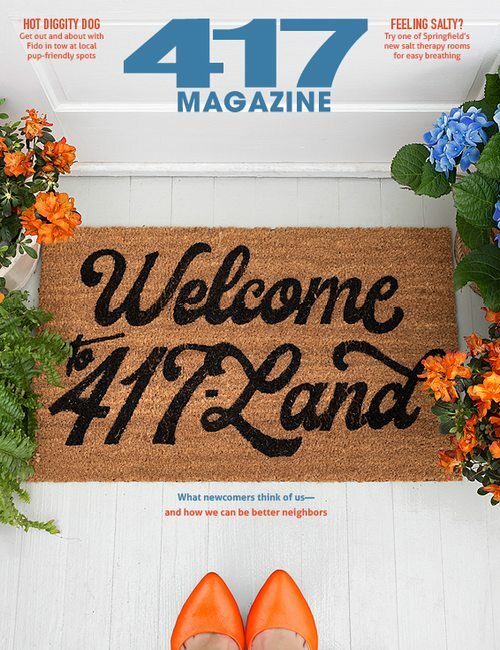 Woodford Reserve is the official bourbon of the Kentucky Derby, but Burns says any quality bourbon like Buffalo Trace or Jeffersons Bourbon would be just as excellent. If you find the julep too sweet, Burns says you can cut the amount of sugar using just ¼-ounce of syrup or eliminate it completely to cater to your tastes. “I think a mint julep would be perfect even with just mint and whiskey,” she says. 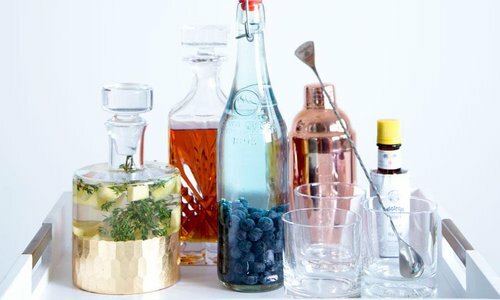 However you choose to make your mint juleps this month, the classic ingredients and refreshing flavors will surely have your guests ponying up to the bar for refills. Shake things up with Meagan Burns’s recommendations for a twist on a classic mint julep. Simply changing the spirits to something like a single-malt or highland scotch gives your julep an interesting dimension. Infuse your simple syrup with jalapeños to impart some heat without losing any of the sweetness. If you want to add fruity flavors, avoid a sugar overload by replacing the simple syrup with a fruit brandy or a fruit-flavored liqueur and add a slice of fruit as garnish. 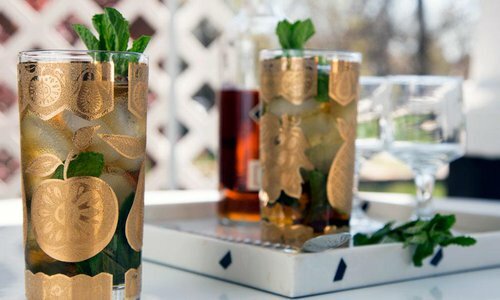 Prepare for a Triple Crown with the official mint julep recipe of the Kentucky Derby. 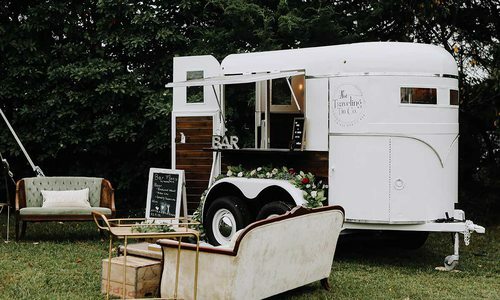 Spice Up Your Wedding with The Traveling Tin Co.
With The Traveling Tin Co., Adam and Amanda Stowell have found a way to serve creative cocktails in a one-of-a-kind way at your wedding.